FTJ envisions a world where Jewish consumers recognize fair trade as an expression of core Jewish values, seek out fair trade Judaica products, and use their purchasing power to support thriving communities of artisans around the world. Menorahs, and Dreidels and Banners, Oh My! 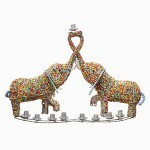 There are more fair trade menorahs, dreidels and banners than ever before! 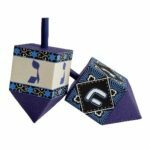 Check out the variety of wire and bead menorahs from South Africa, a brand new dreidel made from the tagua nut in Ecuador, and our favorite paper cut Chanukah banner on Fair Trade Judaica's website. Purchases made by Tuesday 12/20 are assured arrival before Chanukah. 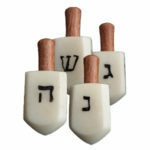 Ten Thousand Villages has three menorahs available this year as well as two new Dreidel Gift Boxes. Support the Divine Chocolate fair trade farmers through purchasing their delicious fair trade kosher (OU dairy) gelt – the best you’ve ever tasted! Purchasing Fair Trade products ensures that the supply chain is free of forced labor and that farmers are paid a sustainable price for their cocoa crop - We’ve sold out the last few years and have increased our order this year. Available in milk or dark chocolate. 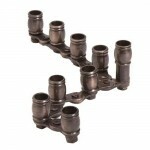 For RETAIL purchases, visit our own Chanukah page. You can purchase 1 bag of 13 coins, a 10 pack or a 30 pack. For WHOLESALE purchases, set up your account and place your order here. 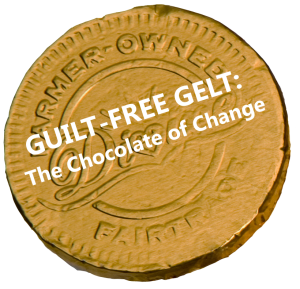 Please use code guiltfreegelt at checkout, and Divine will donate 10% of sales back to Fair Trade Judaica and T’ruah to support our fair trade education work. 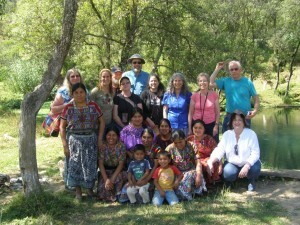 Join us February 7 - 16 for our 4th annual Fair Trade Judaica trip to Guatemala! Highlights include visiting seven fair trade artisan groups making Judaica (kippot, tallitot, banners, baskets), trying out the backstrap loom, learning about the Mayan culture, and spending Shabbat with the Orthodox and Reform Jewish communities! We have only two spots left, so contact us soon if you’re interested. Looking for a Special Chanukah Gift? 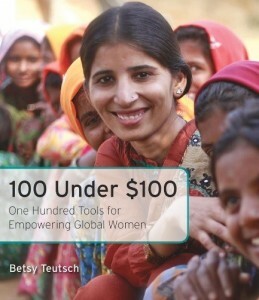 Fair Trade Judaica is so honored that Advisory Board member, Betsy Teutsch, has donated 25 copies of her new inspiring book "100 Under $100: One Hundred Tools for Empowering Global Women" to help further FTJ's educational work. Betsy discovered the power of fair trade in the course of researching the book and has identified it as one of the 100 Tools. Click here for more info and to order. 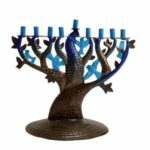 Not sure what the exact right Chanukah gift is? Our new selection of gift cards is just the right answer! 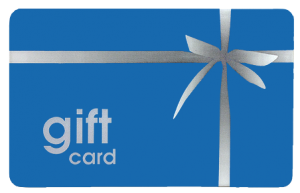 We have gift cards ranging from $18 to $100 for use at our online store. Fair Trade Shabbat 2017 is scheduled for Friday/Saturday May 12-13, Parshat Emor. More details available in January. 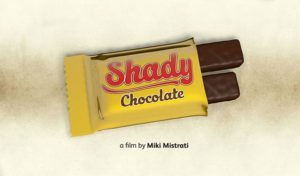 “The Shady Side of Chocolate”, by internationally renowned filmmaker, Miki Mistrati, is an update to his initial film, “The Dark Side of Chocolate”, which inspired us to launch our Guilt Free Gelt and Passover Bean of Affliction Campaigns. Here, he uncovers child labor behind two of the certification systems (Rainforest Alliance and UTZ) set up by the International Cocoa Industry. In comparison, fair trade certification monitors to assure that there is no child labor in their products, and if it is found, the certification will be pulled from the company – there’s transparency and accountability. Copyright © 2007-2016 Fair Trade Judaica, all rights reserved.